Did you know: people have a 32% increase in memory retention of a message when they handled it as a hard copy compared to viewing a website. It sticks! Print media is noted to have a unique “stickiness” to the messages it delivers. It is easily put down and picked up. It is easily shared, always available, ecologically sound and it forms part of a unique bridging technology to other forms of media. Print is a $640 billion dollar industry that dwarfs the online advertising industry at $47 billion dollars – Source: Keen Systems. Did you know: The Average person is exposed to 5,000 messages per day. They notice 52. They remember 4. With the right creative material delivered at the right time, to the right place, let’s make sure they remember you. You’ve got my attention! Don’t underestimate the power of creative design. The right creative approach can pull it all together and make a difference in what gets noticed and what gets overlooked. We put imaginative ideas together for you. See what we have in mind for you and your business. Tell me now! Without a web site, your business is non-existent to most potential would-be customers. Not only that, if you want them to keep coming back, the site must be informative and somewhat entertaining. Static sites just don’t cut it anymore. Most web searches are performed on smart phones for instant gratification. Your site must be mobile friendly. Mobile marketing is an almost instant low-cost way to supplement personal sales, advertising, traditional mail and other activities to stay in front of your customers and prospects in a local market. Variable data and personalization refers to the customization of a marketing message so that it either identifies the specific prospect/customer or a closely associated demographic group. The intent is to make the message more meaningful to the recipient. You know me! That’s what customers feel about personalization. Almost 40% of consumers will try a new business if your communications is more personal and in-tune with them. At Allegra, we understand and deploy communications that link customers and prospects through personalization, PURLS (personal URLs), GURLS (general URLs) and QR (quick response) codes. 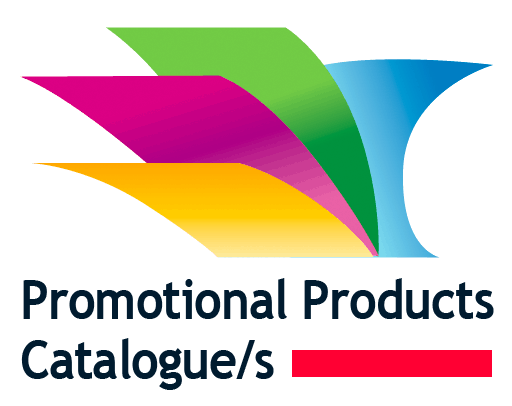 The promotional products industry is now a $20+ billion dollar global industry. Almost every major brand uses some sort of promotional product. The Canadian 2014 top 5 leaders are: writing instruments, shirts, bags, calendars and headwear. I want that! That’s how consumers feel about gifts. Promotional products are memorable and effective. They are used as gifts, rewards and incentives for consumers and employees alike. Consumers say it’s one of the very few forms of advertising that they feel good about getting. Not only that, but they keep them as well, sometimes for years. The more useful product or the more special the moment, then the more likely it will be kept and displayed for all to see. Store it! Package it! Ship it! Did you know: We store, package and ship marketing products for our clients across North America every day. Fulfillment, the automatic and accurate delivery of material to customers and clients has come to be expected as a natural routine of business. Store it! Package it! Ship it! That’s what your customers/clients expect and that’s the experience you want them to have. They are not coming to you. You are going to them. What’s new in the neighbourhood? Did you know: consumers consider signage as one of the most useful sources of immediate new product information. What’s new in the neighbourhood? Big impressions for big results. Posters, banners, signs, window and wall graphics are one of the most effective, yet least expensive forms of advertising. This is a proven media that will provide you with long term results in your local market. It tells people your company has arrived. For consumers, the quality of the signage infers the quality of the company so advertise accordingly. That’s why consumers read signs, posters, window graphics, etc. At Allegra, we can print your text and graphics on almost anything from window clings and floor graphics to metal and wood up to 2.5″ thick! It starts with a name. It starts with a name. Direct mail is one of the most measurable marketing vehicles and is practiced by businesses of all sizes from start-ups to the Fortune 500, even the internet search companies’ use direct mail. You can contact me anytime! That’s how consumers react to unobtrusive direct mail. Direct Mail is one of the few initial marketing approaches that are accepted by most prospects & customers. It does not intrude on customers, does not use up their resources and can be viewed on their schedule. Effective direct mail is all about the list, the offer, the graphics, the urgency, and the call to action. It’s also about ease of response. The Direct Marketing Association considers direct mail as the gateway to long term relationships with customers. Email marketing is the low-cost way to supplement personal sales, advertising, traditional mail and other activities to stay in front of your customers and prospects both locally and globally. Did you know: one in five smartphone users have scanned a barcode. QR Codes (Quick Response Codes) are targeted at mobile phone users. It allows them to scan a code and receive information about your company and products. Tell me more! That’s what QR codes do. They are designed to provide immediate information to a customer. Research shows that nearly half the population learns visually. Given a choice between a full page of content and watching a 60 second explainer video, the video would win out every time. Not only that, but we retain more information when our brains are both verbally and visually stimulated. Did you know: We design, implement and support custom web to print solutions for clients across North America and have been doing so for over 15 years. Automated self-service is requested by more and more businesses as a means of reducing costs and improving customer contact. It is a growing global trend in efficient and effective order processing. Click. Click. Done! Web to print solutions offer convenient and easy 24 hour 365 day self-service. They offer brand integrity, inventory control and detailed data reports. They allow your company to extend its reach around the world with immediate distributed marketing. You desire a fixed budget & routine scheduled maintenance. Your site needs work, some additional features & you can benefit from recurring work. Your site(s) needs occasional work, fixes or added features. You prefer pay as you go, and fixing things as they come up. You have small projects. Emergency Website Maintenance; for website maintenance needed immediately only this is your insurance plan.